As I ended the last post, I mentioned that I was going to be visiting seven falls the next day in the course of an epic day of hiking and photography. I also may have mentioned that I am a bit of an unrepentent optimist. 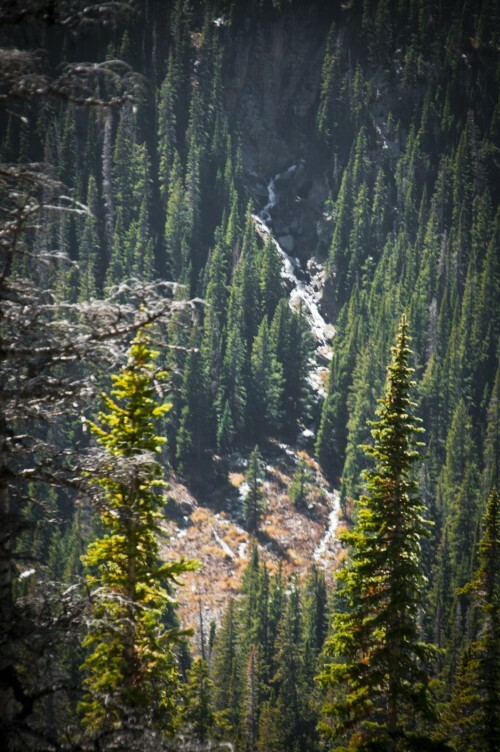 . . After a hike of 20 miles, several of which were off-trail bushwhacking to find some hidden falls on the edge of timberline, I realized that seven wasn’t going to happen. Three and a half happened, and the photos I’m posting today represent the half.